Bear in mind the NFL removed “Probable” as an allowable game status, so the blanks for most of the names listed simply imply that they’re above the 50/50 status that “Questionable” is intended to represent. 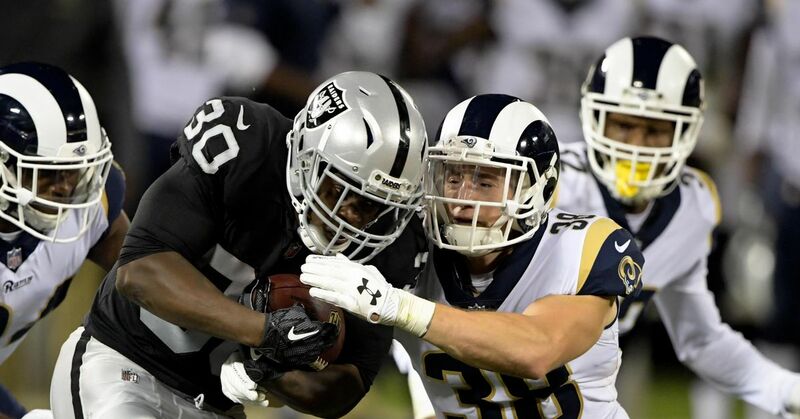 The first bit of big news is that DB Lamarcus Joyner will miss Week 4 outright. One of the better players on the team let alone pass defenders, his absence will solidify some things from both the safety depth and the nickel corner slot. The second, and maybe more worrisome addition to the list, is S Cody Davis who picked up a quad injury today. His gametime decision could promote rookie S John Johnson or DB Blake Countess into some playing time. And C John Sullivan was still a limited participant today. I was hopeful he’d get to full participation, but alas. C Austin Blythe played pretty well in his stead in Week 3, so perhaps things might be ok up the gut. Ton of decisions coming from Head Coach Jason Garrett on Sunday including MLB Sean Lee who was unable to practice all week. Throw in a Friday injury to LG Chaz Greenwho already has Cowboys fans worried, and it’s hardly a spotless Friday injury report. Seven-man inactives should be available about an hour before gametime.